Why did I create a free report on cold prevention? What other illness causes so much grief to everyone so often? 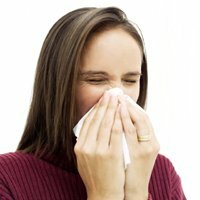 The average adult gets 3-4 colds per year. Double that for a child (thanks to school). As a pharmacist, I see many, MANY people everyday that are miserable as a result of the common cold. They feel angry and cheated that their body has been taken hostage by this vicious virus. When an "outbreak" happens, then I get the flood of people asking what they can do for cold prevention. Nobody likes to feel helpless. In answering all of these people's questions, it occurred to me that putting all of this information into one handy-dandy list would be helpful. I've decided to offer it as a free gift to all of those visiting my website. Why is the free report on cold prevention instead of cold treatment? Because preventing a cold works WAY better than trying to treat it after you get one. There is a ridiculous amount of theories (emphasis on ridiculous) about what will treat and/or prevent a cold. MOST are pure fiction. I've created this report by combining scientific research with years of pharmacy experience in seeing what works (and what doesn't). Aren't you sick of catching every cold and flu that's going around? There ARE effective ways to avoid getting sick. Myself and my friends and family are perfect testimony to how effective my recommendations are. Trust me. You need to know this information. Complete this form and not only will you receive this special report, you will also be subscribed to my monthly e-zine, Making You Healthy. It is a short (because I know time is precious), informative article on some aspect of health and/or nutrition, links to new pages on this website and any relevant nutrition news. If anything is of interest to you, check it out. If not, delete it and you won't hear from me for another month. You can, of course, unsubscribe at any time. And don't worry, I will NEVER EVER sell or give your information to anyone else. It will only be seen and used by me to get you this information. I hate spam just as much as you! I promise to use it only to send you Making You Healthy.